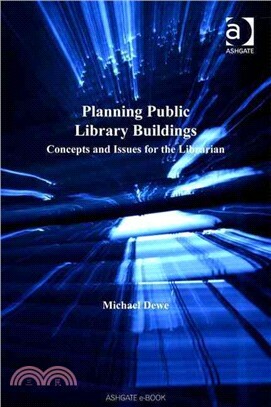 Michael Dewe has extensive experience at senior level in public libraries and latterly as a University Lecturer in the Department of Information Studies at the University of Wales, Aberystwyth, Wales. As well as a long-standing commitment to writing and lecturing about library buildings, he has also acted as a consultant both in the UK and abroad. Actively involved with the IFLA Section on Library Buildings and Equipment for a number of years, he was also a member of the judging panel for the Public Library Building Awards scheme from 1995 to 2003. Currently he is a team member of the library buildings database project, Designing Libraries (www.designing libraries.org.uk) and has written a booklet on primary school library design.